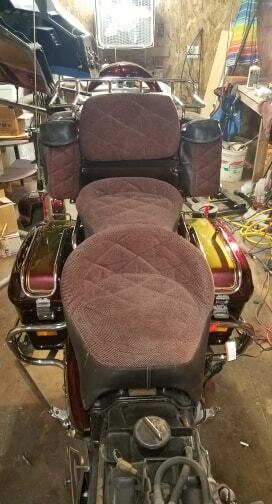 Steve Saunders Goldwing Forums > Forums > General Motorcycle Discussion Forum > Looking for a seat set like this. you were blocked for not having 15 posts. go to the Fun Forum and run thru a lot of posts there, and increase your post count. I can't think of the name of the company who had those. May be called Road Sofa...? Thanks for the info dadztoy!